Declassified CIA documents provide proof that Area 51 is a real place, but there is no mention of UFOs. FOR THE FIRST time the CIA is acknowledging the existence of Area 51. The top-secret military test site has been the subject of elaborate conspiracy theories about aliens and spaceships for decades. 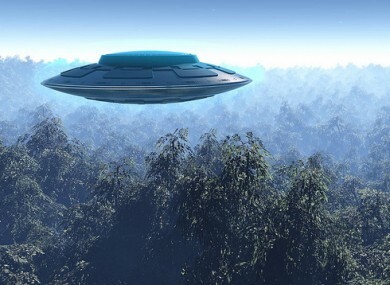 Recently declassified documents have mentioned the sites existence, though there’s no mention in the papers of UFO crashes or extraterrestrials. Area 51 is mentioned by name in the CIA papers and describes some of the activities that took place there. The documents also describes some planes that were present at the site, but there is no mention of any alien crafts. The records were released following a public records request by the George Washington University’s National Security Archive. They hoped to obtain the CIA information on Area 51′s most secret Cold War projects, the U-2 spy plane program. National Security Archive senior fellow Jeffrey Richelson first reviewed the history in 2002, but all mentions of Area 51 had been redacted. So he requested the history again in 2005, hoping for more information. He received a version a few weeks ago with the mentions of Area 51 restored. The report is unlikely to stop the conspiracy theories as the 407-page document still contains many redactions. The most famous conspiracy theory linked to Area 51 is that the base is holding evidence from the Roswell incident – the alleged 1947 crash of a UFO in New Mexico. Email “CIA papers reveal that Area 51 does exist ”. Feedback on “CIA papers reveal that Area 51 does exist ”.